The secret project from JJ Abrams, the feature trailer for Cloverfield begins where the teaser left off. Though the monster is not shown, the preview does give quick glimpses of the smaller creatures that have spawned from it. We also get to watch more military involvement. Lizzy Caplan, who plays Marlena, did not even know what she was auditioning for, thinking it was a romantic movie until her second audition. It wasn't until she had been offered the role that she found out it was a monster movie, and the cast couldn't even read the script until they had signed on. The first trailer for Cloverfield appeared before Transformers. It featured a giant explosion in the heart of New York City and the Statue of Liberty's head being thrown down the street, and was shot with a handheld video camera. It had title accompanying it. The mysterious nature of the teaser and that J. J. Abrams was attached led to immediate and widespread speculation about the film. 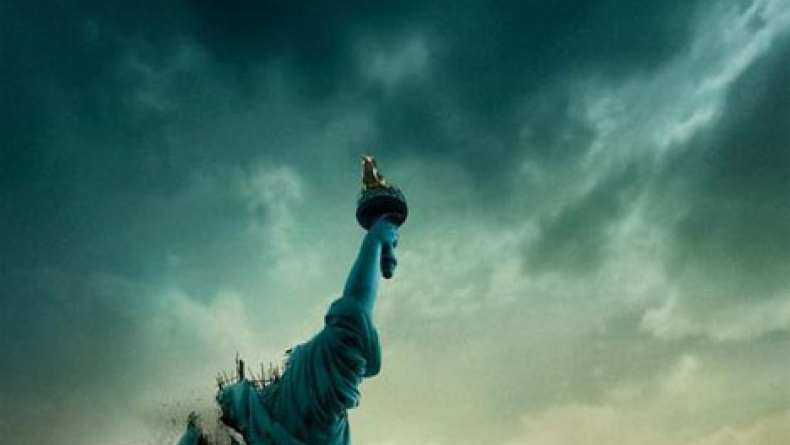 Cloverfield used a viral marketing campaign that utilized Myspace pages and various internet websites to build the backstory of the film before it was ever released. The Cloverfield trailer opens on a short text card, letting us know that this footage we’re about to watch was recovered from “Incident Site US 447”, already giving us an idea of how the movie ends up if the footage is the only thing that was recovered. The rest of the trailer is all various shots of the characters seemingly trying to escape New York in the wake of a giant monster attacking the city. Though we never actually see the monster, we do get an idea of its massive size, at it topples buildings, brings down a bridge, and seemingly shrugs off weapons fire from a group of soldiers and a tank with no problem. While the fact that the film is all camcorder footage makes for some awkward shots in places and make may some uncomfortable while watching the film, it gives a small sense of authenticity to the whole thing. The movie is supposed to be first hand events of this monster attack, and that’s exactly how it feels, putting the viewer in the position of the person operating the camera. Depending on how they stick the landing, Cloverfield could easily prove to be another welcome addition to both the found footage and monster movie genres.